Last semester, I studied abroad in Santiago, Chile. 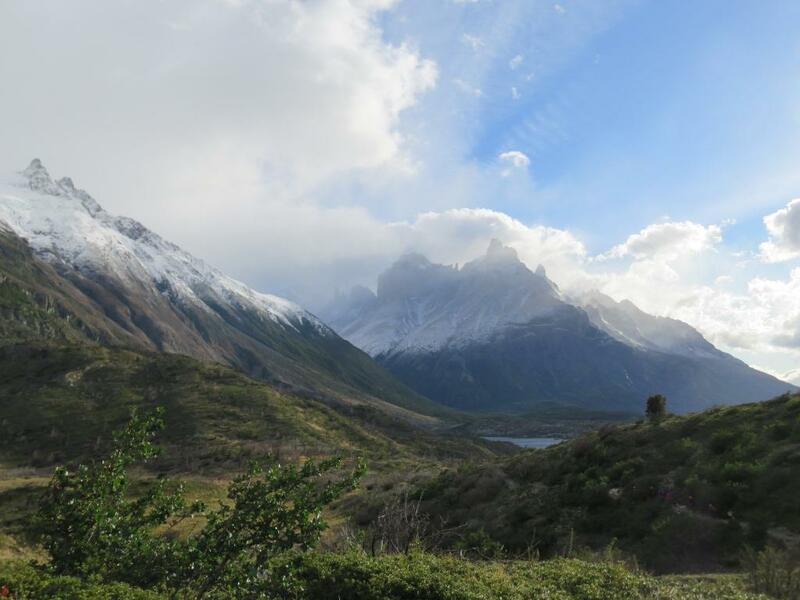 A few of my friends and I had the opportunity to spend a few days backpacking in Patagonia, which is the wilderness in the southern-most part of Chile, at the end of the world. It truly felt like another planet in the great beauty we encountered there. 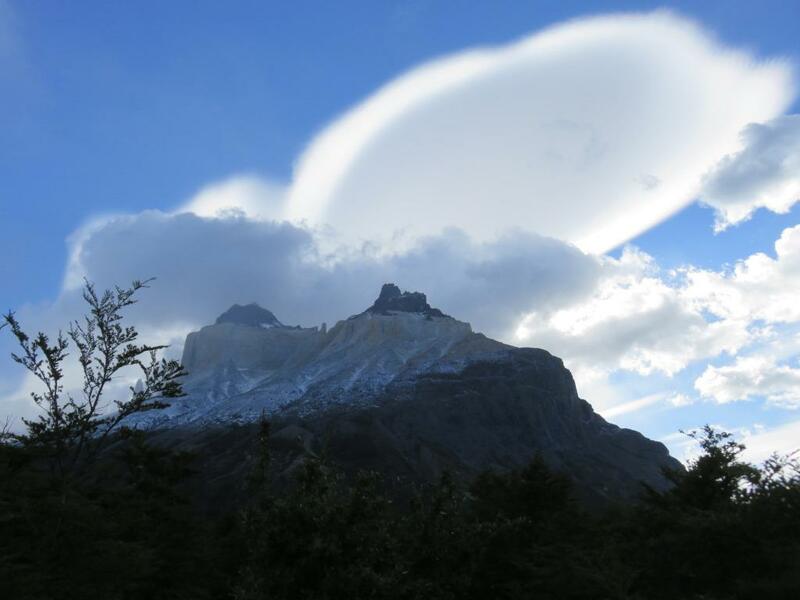 The highlight of the trip and the pinnacle of beauty in Patagonia are the Torres del Paine. They are huge towers of rock that shoot up into the sky. 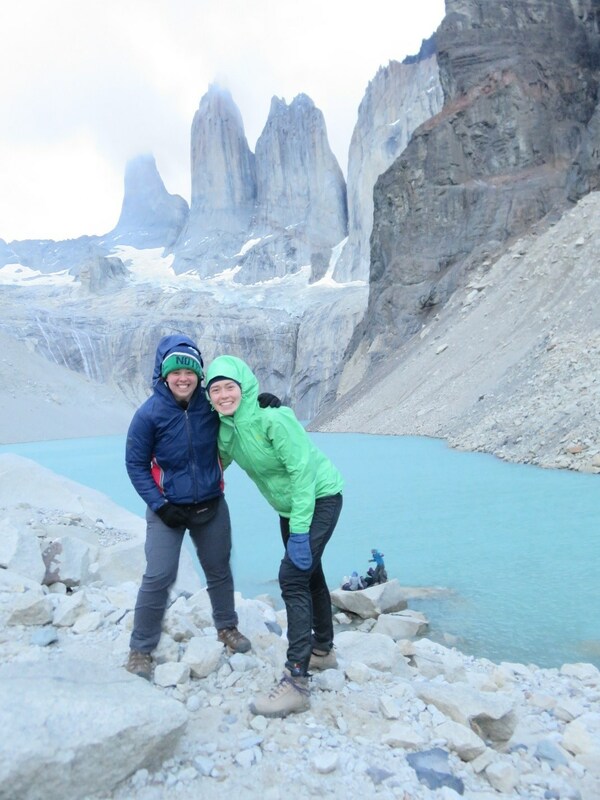 The best time to see the Torres is at sunrise when the light from the sun rises and casts a bright orange color on the rocks. To see this once in a lifetime sight, we rolled out of our tents in the pitch black, snapped on our headlamps, and started the strenuous 45-minute hike up. No one could see particularity well, and next to us was a huge, black crevasse with depths we could only imagine in the dark. All we could see were the steps in front of us and the lights of the headlamps of the people behind us and ahead of us all in a line—all hiking to the same destination. Our sleepiness quickly waned as the number of steps and rocks we were climbing increased. When we finally reached the top, the excitement was unbearable. It was still pitch black, but I could just barely make out the silhouette of the three giant towers. I had seen so many pictures of it before, and here it was! Right in front of me. I had never experienced such an atmosphere of exciting anticipation. We sat down in the cold and windy weather and waited for the sun to rise. Each moment was more exciting than the next because in each passing minute we could see just a little bit more of the Torres. As more and more light came, we could see that there was a small lake in front of them—something we had no idea was there in the dark. And the true and glorious beauty of the Torres was revealed. We sat there (slightly shivering) in awe of its wonderful beauty. My friend Anna said to me that this moment was a lot like heaven. Right now on earth, we only have a glimpse of heaven like we only had a glimpse of the Torres before sunrise. But when heaven is fully revealed to us, the glory of it will be awe-inspiring. My experience at the Torres was truly a glimpse of that eternal peace and glory. On our hike back to the campsite, I was reminded of the saints and their headlamps walking in front of me, leading me to heaven. I could only see the present moment—the step right in front of me, but I was guided by their light. We are all walking in faith in the dark to something we cannot yet fully see. We are all headed to the same place, with the same goal. The reality of heaven and the hope of what we cannot yet see are so present in our lives. Each day is a tiny glimpse of the eternal love that has been offered to us. It is a reality that we are called to be in awe of, and to bask in each day. Let us rest in the hope and awe of salvation in Christ.